These little bits of wisdom come from two notebooks that I used sporadically over the course of more than 3 years. In addition to a lot of plot work for OPAL, the notebooks include everything from free writing exercises to critique notes, plans for novels that would never happen, interview notes, failed attempts to write hint fiction, and more. I’m not saying I’m abandoning this novel, too. Except that I am. Okay…why can’t this be like Beloved? Almost as embarrassing as the things I wrote in college. Something has to cause an outrage. Cut at least 10% of this scene. Better yet, just throw it out entirely. I’m worried that it being such a beautiful day outside is going to distract me from this. It’s hard to return to that time in my life. It can be ironed out. Maybe I’m naive to think right now that this essay is good. These are hilarious, I love the peeks at your notes to self. 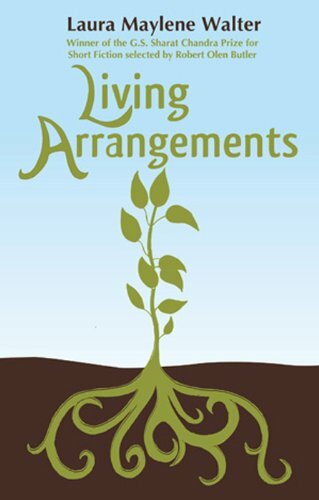 I was just thinking about how I missed college, missed sitting around studying and reading (or not), living with my friends, having the flexible schedule of a college student. Then I read this and remembered: I was writing total crap. I miss it less, now! I think Something has to cause an outrage should be on t-shirt. Zazzle! And, of course, I am intrigued by “bizarre litterbox behaviors.” I feel like I have earned a PhD is this. I have zero memory of why I wrote down “bizarre litterbox behaviors” and I kind of don’t want to remember. Same goes for the flip-flop/cupcake paraphernalia. Huh? HA! And why oh why can’t this be more like BELOVED?!?! Love the peek and the honesty. One day someone told me one of my stories reminded them of Mary Karr and I thought I’d have a heart attack. For months and months I’d write and think No No No, this is not MARY at all!!!!! Embrace your inner Mary Karr, Teri! 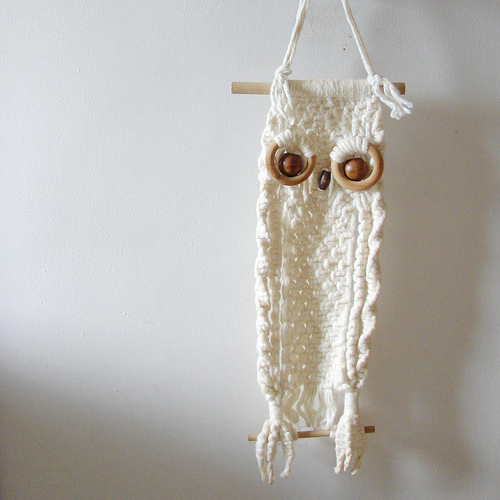 Okay, there is not a book in the universe that would not be improved by the addition of a macrame owl. I’m kneedeep in an outline so it shouldn’t take but a sweep of the pen to include what is so obviously missing. Look at me, helping with revisions? Have a plot hole? A flat character? 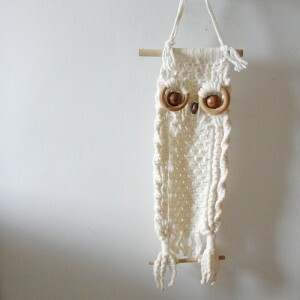 Add that macrame owl and bam! Problem solved. But what is that something O Muse, what??? I know, my notes are full of stuff like that: “Make something big happen here.” You know, at the climax of the book/story? And I haven’t figured it out yet? Surely “something” will substitute just fine for now, right?